With a new regime in the front office, the Minnesota Twins are looking to the future and hoping for greater success from their minor league system than they have had in recent years. The biggest question remaining for the Twins this offseason is whether or not Brian Dozier will stay in Minnesota. A Dozier trade could bring in some impact prospects the Twins need, as well as open the door for Nick Gordon to make his MLB debut this season. Gonsalves is a hard-throwing southpaw who will have a chance in the very near future to make an impact with a plus fastball and changeup. His breaking pitches are also showing improvement as he makes his way through the farm system and he could be in Minnesota as soon as this year. Son of former reliever Tom Gordon and brother of Dee Gordon, Nick has shown that he can hit in the minors, batting a combined .283 with 46 doubles and 13 triples over his last two seasons in Low A/High A ball. The one thing that seems to be holding him back at this point is concerns over his defense and his ability to remain at shortstop, but when he does make the big leagues his offensive ability should get him into the lineup one way or another. After spending his college career coming out of the bullpen, the Twins envision Jay as a Major League starter in the future. With a 92-94 mph fastball and a nasty slider as his out pitch, if Jay can make the transition to the starting rotation he could be a major asset for the Twins in just a few years. After missing most of 2014 and 2015 due to Tommy John surgery, Romero showed that he is back in top form in 2016, posting a 1.89 ERA and 90 strikeouts between Low A Cedar Rapids and High A Fort Myers. If he continues to show numbers like this in the minors, he could prove to be a valuable member of the Twins starting five in the near future. 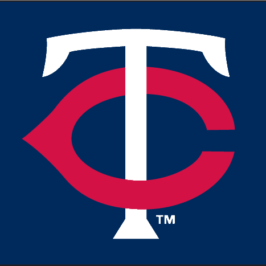 The Twins’ first pick in last year’s draft put up some good numbers with the Rookie League Elizabethton Twins, posting a triple-slash line of .306/.341/.454 with seven home runs and 33 RBI. At 19 years old and with only one season of pro ball under his belt, anything can happen, but he looks to be one of the better offensive prospects in the Twins system right now. After dealing with arm and shoulder injuries since being drafted in 2013, Stewart had his best season in the Twins organization last year, finishing with a 12-8 record and a 2.88 ERA between High A and Double A ball. The biggest fantasy concern with Stewart right now is his strikeout rate (5.9 K/9, 1.82 K/BB in 380 career innings pitched), but he still has time to figure out how to miss more bats as he moves further away from his injuries. He may not be a flame-thrower, but Jorge definitely has a strong command of his pitches. After spending two seasons in Low A Cedar Rapids, Jorge finished 2016 with a 12-8 record, 2.69 ERA and 109:23 strikeouts to walks between High A Fort Myers and Double A Chattanooga. This is a pitcher to keep an eye on that could surprise people. Acquired from the Diamondbacks for Chris Herrmann in 2015, Palka is all about the power swing, hitting 104 doubles and 94 home runs in four years in the minors. He has the ability to run, stealing 24 bases in 2015 while in the D-Backs’ system, but 10-15 steals is probably a more realistic expectation from Palka. Blankenhorn showed improvement in his second season in the minors, raising his batting average by 50 points and almost doubling his total bases from 2015. For right now the Twins are keeping him at third base, but he has spent some time in the outfield and could potentially be moved to a corner outfield spot by the time he reaches the majors. After being acquired from the Giants for Eduardo Nunez just before last year’s trade deadline, Mejia made his big-league debut with a 2 1/3 inning, five-hit, two-run appearance on August 20 against the Royals. While it was a rough MLB debut, Mejia compiled a 9-5 record with 126 strikeouts and a 3.00 ERA between the Giants and Twins’ system in 2016, so the future looks bright for the southpaw. Another member of this list to break into the big leagues last season, Chargois posted a 1.35 ERA while striking out 55 batters with Double A Chattanooga and Triple A Rochester before pitching 23 innings out of the Twins’ pen. Chargois can reach 100 mph with his fastball and 85-86 mph with his power slurve and has the potential to end up as the Twins’ closer at some point. While he didn’t put up flashy numbers in his first season of pro ball, Rortvedt was ranked the best offensive catcher in 2016 high school rankings and scouts believe he has 20-home run potential in the future. Rortvedt is several years away from making it to the Majors, but he likely has the highest offensive ceiling among catchers in the Twins’ current system. Like Rortvedt, Javier is several years away from the Majors, but he has a lot of potential in his bat as well as with his glove. Javier appeared in nine games in the Dominican Summer League in 2016, batting .308 with three doubles, two home runs and seven runs scored. Don’t rush out to pick him up just yet, but at the same time don’t sleep on him either. Burdi missed most of the 2016 season with a bone bruise near his elbow, but when he’s healthy he has the potential to be a top-end reliever/closer. He’ll start out 2017 in the minors, but if he can stay healthy, with his control and velocity he could show up in the back end of the Twins’ pen in the second half of the season. After finishing 2015 in Rookie League Elizabethton, Diaz spent all of 2016 with the Elizabethton Twins where he showed considerable improvement in all offensive categories. Diaz has a lot of power potential in his bat, and he could be a dependable first baseman for the Twins in just a few years. If the Twins hadn’t just signed Jason Castro to a three-year deal this offseason, Garver might have had a chance at cracking the 25-man roster out of spring training. Garver puts up good-not-great numbers on offense, with most of his value coming on the defensive side of the plate. Rortvedt may have the most offensive talent out of the Twins’ catcher prospects, but Garver is the closest to breaking into the big leagues. Arraez is young but he has shown already that he can hit for a high average. In three seasons in the minor leagues, Arraez has a career .337 average and last year he won the Midwest League batting title with a .347 average — at age 19. If he continues to hit at this rate, he’ll be with the Twins sooner than later. Two seasons in the Twins’ system and while he hasn’t shown flashy numbers, Wade has shown consistency with his bat. He still has a year or two before he’ll reach the Majors, but when he does Wade could produce double-digit home runs and steals with a batting average around .290 as a fourth outfielder. Defense-first shortstop, but he has 15-20 steal potential with a .270-ish batting average. Most likely will end up as a middle reliever, but has the potential to strike out a lot of batters and give you a low ERA. Likely future as either a setup man or closer that will rack up strikeouts. Another future reliever with good strikeout/low ERA potential. Future starter who has missed last two seasons after Tommy John surgery. In his last full season in 2014 he averaged 10 K/9. Once viewed as a starter, command issues have relegated his potential to a middle relief role. Streaky hitter that will likely at best end up a fourth outfielder. Believed to eventually have 20-20 potential, he’s a work in progress at the moment. Has shown average numbers as a starter in two seasons of pro ball, but still has time to improve. Struggled offensively in Low A last season with a .222 average. Potential back-end of the rotation starter in a few years. Likely No. 4 or 5 starter with above-average strikeout potential. Speedy outfielder (52 stolen bases in 2016 with Double A Chattanooga) that will hit for average batting average. Has struggled offensively in first two seasons in the minors and may end up moving to corner outfield spot. Has double-digit steal potential and could hit for a decent average. Will end up either a back-end starter or long reliever. Has bounced around the infield but seems to be sticking at third. Showing some promise on offense in his fourth season in the minor leagues. Hit 16 home runs in 2016 between Rookie and Low A ball. Began career as a starter, but now seems destined for middle relief. Good: Hit 19 home runs last year with Cedar Rapids. Bad: Struck out 125 times in 501 AB. Will probably hit in the .260-.270 range with the potential for 15 SBs. Has 20 steal potential and will hit around .250-.270. Over eight games in first year in pro ball, posted a 2-1 record with 1.97 ERA and 16 strikeouts in Gulf Coast League. Potential back-end starter that should provide decent strikeouts and ERA. Drafted last year in 11th round but didn’t play due to Tommy John surgery. Had been projected to be picked in first three rounds pre-injury. Potential late-inning reliever/closer with good strikeout numbers. Average batting average with good walk rate. Late-inning reliever/closer with high strikeout potential. Finished 18 games in 21 appearances with five saves in his first year of pro ball. Utility man who hits for .250-ish average and not much else. Middle reliever with high strikeout potential. Back-end starter with decent strikeout numbers but needs to work on lowering walks and ERA. Baseball fanatic. I love to write and photograph anything and everything related to America's Favorite Pasttime. Follow me on Twitter @MichaelGrennell for baseball news with other sports-related tweets mixed in. #21 Adam Walker is no longer in the organization. Sorry about that. I missed that when I published Michael’s piece this morning. We’ll make sure to get on that and update this list. Thanks for pointing that out! Yep, that was my bad. While doing my research somehow that transaction slipped through the cracks as well as another one. The list has been updated with third baseman Ryan Walker now at No. 33, and third baseman T.J. White at 39. Yes…everything I have read says he sits between 89-92. Believe his height and late movement are what makes the pitch play up. On a side note, I think I have seen the phrase “man-muscles” used in conjunction with Gonsalves more than any other pitcher combined. Nice work Mike, My two favorites are Burdi who’s brother pitches for the sox and Chargois. I like guys with a good fb. I think both may be in the mix to close for the twins. What you think….Chargois stuff is nasty. Chargois is definitely closer to the job at the moment than Burdi, but I think Burdi could be in the mix soon. I also wouldn’t be surprised if one of them gets traded off somewhere. What do you think Kirilloff’s upside is? Also, you think a move to the pen can have Baxendale seeing time in the bigs this season? Regarding Kirilloff, I would like to see how he does in 2017 and 2018 before I make any solid predictions (I prefer to see 2-3 seasons of work because of how wildly one season can vary from the next). That being said, I would guess right now his floor would be around 20-23 home runs and a .285 batting average. I think he could have 30 home run potential, but again, I want to reserve judgement until I see more plate appearances from him. A move to the pen probably could see Baxendale up with the Twins at some point this year, but I feel if he moves to the pen he loses what little fantasy relevancy he has as a potential back end starter. I don’t see him as a future closer with guys like Chargois and Burdi ahead of him.